Obtained summary dismissal of permissible purpose FCRA claim against auto lender in Kentucky federal court. Obtained judgment on Plaintiff's claims, and consent judgment on counterclaim at trial. Obtained summary judgment dismissal of Malicious Prosecution and Intentional Infliction of Emotional Distress claims in Georgia state court. Obtained summary judgment for individual defendant in multi-million dollar defamation action. Obtained dismissal on the pleadings of Outrage claim in workers' compensation context. Retained as National Arbitration counsel for major national bank. Obtained summary judgment on behalf of defendant corporation for injuries sustained by individual when the business was robbed. Obtained summary dismissal of permissible purpose/false pretenses FCRA claim against auto lender in Alabama federal court. Obtained dismissal of appeal to U.S. Court of Appeals for the Eleventh Circuit for lack of subject matter jurisdiction. Successfully compelled arbitration in multiple consumer finance actions. Obtained summary judgment dismissal of Malicious Prosecution claim and various state law claims in Florida federal court. Obtained dismissal of state law claims on grounds of Fair Credit Reporting Act preemption in Arkansas federal court. Retained to defend educational institution in TCPA solicitation class action. Represents numerous financial institutions defending TCPA claims across the country. Represents numerous financial institutions defending FCRA claims, including claims alleging impermissible accessing of credit reports and failure to investigate across the country. Defends and prosecutes escalated reverse mortgage claims in state and federal court across the country. Obtained U.S. Court of Appeals for the Eleventh Circuit affirmance of dismissal of FDCPA claim against national credit card company furthering Circuit split. Obtained dismissal of qui tam action, alleging submission of false claims to the FDIC. Obtained dismissal of state law claims based on FCRA preemption in case of first impression in Arkansas. Obtained U.S. Court of Appeals for the Sixth Circuit affirmance of summary dismissal of permissible purpose FCRA claim against auto lender. National Arbitration counsel for major national bank. Joshua is a partner in Burr & Forman's Financial Services Practice Group. 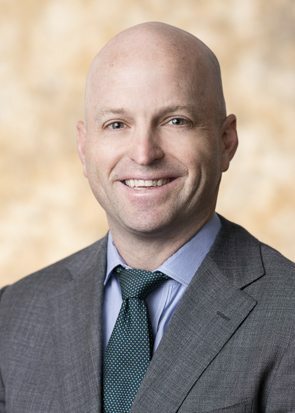 He is admitted to practice law in the five Southern states where the firm has offices (Alabama, Florida, Georgia, Mississippi, and Tennessee), focusing his practice on defending state and federal court litigation in these states, as well as across the country. Joshua routinely defends individual and multi-plaintiff/class actions. He has more than a decade of experience defending lawsuits involving the Fair Credit Reporting Act, Fair Debt Collection Practices Act, the FTC Holder Rule, Telephone Consumer Protection Act, and alleged violations of state and federal law involving banks, credit card companies, insurance companies, mortgage and automobile lending institutions and servicers. Joshua also has extensive experience involving escalated reverse mortgage litigation in both state and federal courts across the country. Since 2016, Joshua has been selected by his peers for inclusion in Best Lawyers in America in the field of Banking and Finance. Joshua has also been designated a top rated consumer law attorney in Birmingham, Alabama, and the Mid-South by Super Lawyers. Joshua frequently speaks and writes on various topics, including trial strategy, and federal and state statutes applicable to the financial services industry, including reverse mortgage litigation trends and specifically the Telephone Consumer Protection Act, 47 U.S.C.§ 227, also serving as the author of the firm’s TCPA blog. To view Joshua’s full list of reported cases, publications and presentations, please click below.